Moth Balls to Repel Bears from Campsites? Answer: Mothballs have been tried before with limited success. They may even be counterproductive. According to Department of Fish and Game (DFG) Bear, Mountain Lion and Wild Pig Program Coordinator Marc Kenyon, mothballs are generally made out of a neurotoxic chemical (1,4-dichlorobenzene (PDB)), which if ingested can cause serious health issues for humans and wildlife. Due to bears’ highly developed sense of smell, they find the pungent odor of mothballs unique, which actually piques their interest. Placing mothballs in or around your camp (or vehicle) may attract bears to your location, thus increasing the chance of bears raiding your food cache. There are better and safer options for protecting our bears and your food. You can use food storage lockers if they are available at your campsite to store food and trash, or use bear-resistant food storage canisters if you are backpacking. If no other options exist, store food and trash securely out of sight in your vehicle. Remember, waking up in the morning and not having breakfast because a bear ate all your food is a good way to ruin an otherwise enjoyable camping trip. 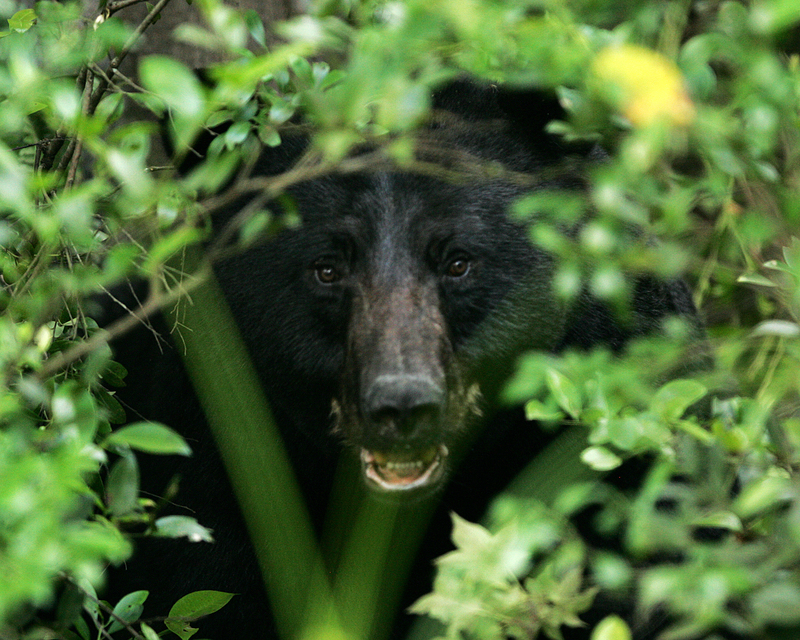 Proper storage of food and trash can help prevent a negative bear encounter from happening. Spear fishing along a jetty without a license? Answer: No, the person must physically be on the pier to legally fish without a license. Once the person is off of the pier or most seaward protective boundary (jetty) placed to form a harbor, a fishing license is required. When diving from shore, he or she must be within 500 yards of their license (FGC, section 1054.2). Question: What are the rules pertaining to marking a steelhead card? If a fisherman is fishing on the Middle Fork Smith River at one location and moves to another location on the same fork of the river, is the fisherman required to remark his report card? If the answer is yes, then should boats also mark their cards with multiple entries? Every fisherman I know on the Smith River does not make new entries when changing locations on the same fork of the river. Please help clear up this question. Answer: No, the angler would not have to fill out his card again when moving within a single location code. The location code for the Middle Fork Smith River is 2c. An angler can move any where within 2c during a single day without having to fill another row on the Report Card. However, according to DFG Steelhead Report and Restoration Card Program Coordinator Farhat Bajjaliya, if an angler moves between different location codes within a single watershed during a single day, then that angler will have to fill out an additional row. A good example of this is the Mad River. It is plausible that an angler can move between location codes on the Mad River within a single day (codes 8a, 8b and 8c). Every time an angler enters a new location code boundary, a new row for that location code must be filled out. Answer: Only methods authorized for the taking of small game or game/non-game birds can be used. Slings are not an authorized method of take under the regulations (CCR Title 14, sections 311 and 475). This entry was posted in Big Game, Catch & Release, Fishing, Freshwater Fishing, Uncategorized, Wildlife Encounters, Wildlife Management and tagged anadromous, bears, freshwater fishing, nuisance wildlife, ocean fishing, regulations. Bookmark the permalink.